It will help to view the works of various directors as a composite whole, therefore contextualizing some of their tendencies and themes and putting films within certain contexts. To illustrate this last point, which is the most important one I can make, I will use an example from literature. I have recently been studying the works of Nikolai Gogol, the famous Russian author and satirist. In his short story entitled “The Overcoat,” we are introduced to the character Akaky Akakievich, a poor, humble bookkeeper on the lower rungs of the Russian social hierarchy. At the time of Gogol (the 19th century), the earlier reforms of Peter the Great had come to cement themselves completely in the public conscious. These “rungs of the Russian social hierarchy,” were, in all literalness, official, standardized things. You were defined by your title, and the city of St. Petersburg (named for Peter the Great) was, perhaps, the most driven of all Russian cities by this sociopolitical concept. Akaky is portrayed as the lowest of people, who minded his own business and went through life unnoticed. It is also important to note that his name is a homonym for the basic Indo-European root “kaka.” Yes, that “kaka”…meaning that, in essence, the man’s name is Poopy Poopington. This sounds silly and naive, but that is Gogol’s point. The story is a very serious and grave one, dealing with depression, social angst, starvation, death and eventual haunting. It isn’t all that dissimilar from Stephen King’s Carrie, just with much less emphasis on the scary (it’s not scary at all) and more emphasis on the character study and social commentary. Yet, amid all this seriousness, we keep seeing his name, Akaky Akakievich—Poopy Poopington—and can’t help but chuckle. As a satirist, Gogol’s work is often funny, but his character’s name is perhaps the funniest aspect of this short story. So, we start laughing. Laughing at him, because of his name. Okay, so what? A good reader would realize his own hypocrisy at that moment…after all, though the fictional and long-dead Akaky had no idea that we, too, the readers, were joining in the mocking with laughter, we were, after all and nonetheless, participants. But, we say, surely that’s mere coincidence. Gogol was an author, or, as the French call it, an “auteur.” See? It’s all coming together. The single most advantageous aspect of a good understanding of auteur theory is this concept of recognizing the continuities, discrepancies and thematic intricacies of the movie-maker, just as the most advantageous aspect of a good understanding of an author’s themes and tendencies improve the overall reading experience. A true “author” of a movie is able to take his or her opinions and ideas and place them within a conceptual setting using the seventh art. (I’m now assuming that, if you’ve read this deep into my blog, you understand what I mean by “seventh art.” If not, you might want to start at the beginning. I wouldn’t blame you. It’s a great idea.) For example, take a couple movies that I have already reviewed. Vertigo would be a masterpiece if it was the only film Hitchcock ever made, but when taken into a canon which includes Notorious and Rebecca it becomes a movie that is 100% worthy of the title “The Greatest Movie Ever Made,” which is exactly the title it received in 2012 by the ever-prestigious publication Sight and Sound. Why? Consider its themes and how they are share facets shown in other Hitchcock masterpieces—obsession, handicap, insecurity, manipulation—and then consider Hitchcock’s own personality as a “Master” among proverbial “slaves” and you’ll begin to see the depths to which this film delves. Without these companion works, and the influence of the director’s biography, this movie loses those integral characteristics which place it so high in the pantheon of movie gods. Every director, in order to be really good, needs to make multiple films (Gilles Mimouni and Charles Laughton being the only exceptions I can think of at the moment). This is precisely because of the phenomenon that places a director as the definitive creative entity in a film’s production. He or she is enabled to exude a little bit of his or herself into the picture, and shards of that being can be found, like the gnostic Ialdabaoth, in the deeper elements of his creations. And, like the gnostic Ialdabaoth, these shards bring life into the being, allowing it rise up, if called, to more transcendent roles and spheres. Multiplicity of films helps to secure the auteur status of a movie-maker. This “ownership”, as it were, of a work of art is at the heart of auteur theory. It makes a man a creator, which is, in essence, what makes art pulse: mankind creating. There is something both god-like and devious (at least in a Judeo-Christian sense) about this creation; it is god-like in that it makes man a creator, but is devious in that this man is creating outside “the manner of his own kind.” These authors—or auteurs—are not creating more humans, they are creating completely unrelated works and characters and spirits. These are their creations, and have, like the Bible says, a manner of “their own image” about them. Before going any further, perhaps a thought has crossed your mind: but, if the auteur is truly an author, shouldn’t he or she be a writer? After all, the author is, in the basest of definitions, a writer. Take this for example, Laurence Olivier directed and starred in many films, and his most famous works were his adaptations of William Shakespeare. His greatest work was in Hamlet, but the two other ones were Henry V and Richard III. Olivier’s role in creating film versions of these productions (made for a theater, not a sound stage) was greatly lauded as an artistic accomplishment because he was able to cinema-fy a genre that was once scathingly known as “filmed theatre” and turn it into a superb seventh-art focused rendition that still gave proper homage to the Bard (or to whomever wrote the play, for that matter). That being said, no one in his right mind would submit that Olivier was the author of his Shakespearean films. Shakespeare was! Considering Olivier’s prodigious dexterity of the seventh art and his in-depth presentation, perhaps a more extreme example will be beneficial. Consider a high-school theater rendition of Disney’s Beauty and the Beast, which was originally produced and directed by Theater Under the Stars and the Disney Theatrical Company and written by Alan Menken, Howard Ashman, and Tim Rice. But, when Mr. Smith or Wood or Davis or whoever at Pleasant Valley High School in Springfield, Somewhere puts on the play which features his favorite female lead—the President of the Drama Club—as well as the Homecoming King, who received the appointment only after Mr. Smith/Wood/Davis collapsed under the great pressure of his teacher’s lounge colleagues, Mr. Smith/Wood/Davis is NOT the author of the production. I’m afraid that no matter how hard they try, there are no auteurs in Pleasant Valley. Consider also the recent success of Marvel Entertainment. The auteur of that entire universe is Stan Lee. Joss Whedon did a superb job in presenting the material in The Avengers, and special recognition goes to Zak Penn for assisting in the screenplay and incorporating the characters and subplots uniformly and cohesively. However, the characters—which are the very root of the Marvel Universe—were created by Stan Lee. (No offense to the plot of any superhero film, but the audience comes to see the hero and the hero only. They don’t care too much about who he fights where or why. The only exception is when the villain is also a spectacle.) There is no auteur, it seems, in Asgard either. At the root of auteur theory is the premise that a single author prevails in the creative direction of the piece. But the retort to this claim is that the auteur is only capable of going where the script allows. The auteur is limited once the script is written. Therefore, the true author of the piece, the writer of the plot and the dialogue and the scenes is the only one to whom credit should fairly go; he or she is the only one who remains creatively unlimited. The issue that arises with people who understand this principle is that the director is the one often credited with the title “auteur.” This monicker, they say, is undeserved. Unfortunately, what is done is done. The director gets the Big-5 Academy Award while the screenwriter gets the smallest paycheck of the production crew. The example of Citizen Kane comes up frequently. Herman J. Mankiewicz is the one who, as thoroughly purported by the late great Pauline Kael, wrote the script for Kane, but he is the ignored green salad in a feast of heavy meats named Orson Welles and Greg Toland. This is an atrocity to many, and possibly even to Kael, as she would assert a less praiseworthy role of Kane throughout her career than the opinions shared by her colleagues. Opponents to auteur theory often cite such men as Andrew Sarris (who passed away just two years ago) as responsible for extolling the director while creating the collateral damage of misplaced glory that comes to harm the real geniuses: the writers. Considering the validity of these concerns, I will attempt to examine both the director and the writer as auteurs. Auteur theory, in its original and most-accepted format, involves first and foremost the director. As head of the production’s artistic and aesthetic direction, the director is the one most intimately involved in the production. This is a fact that the writers-first proponents seem to misunderstand. They view films as a story, but they need to view films from two facets that I have put forward often in my other posts and pages. Cinema as the seventh art: dealing with the medium of film itself, independent of other art forms, and how to best manipulate that medium to produce a desired outcome. This is film in its purest form, and there is no need for story or script to provide such a work of art. Literature is an accessory detail. Movies as a Gesamtkunstwerk: dealing with the incorporation of all seven (or more) arts. In essence, it is an eighth art, a multimedia art. Literature (screenplay) is an incorporated—but not singular—facet of this. As it can be seen, a movie is a movie is a movie. The script can be great, and end up printed as a stand-alone document, ready for examination by many a LIT 101 class, like the workings of Shakespeare, Ibsen or Williams. But the script is not the movie. The movie is the angles, the themes, the inserts, the montages, the score, the monologues, the dialogues, the colors, the faces, the lights, the sets…the director. This idea that the director is the center piece of the film was introduced in the famous Parisian periodical, Cahiers du Cinêma. The most famous contributor to this magazine was the great André Bazin. Viewing the film as the final, composite piece, the contributors postulated the movie to be the director’s “baby,” as it were, responsible for its legacy and its survival, therefore exerting much of the same influence over its creation that an author enjoys over his book. However, “auteur” theory, considering the use of the word, could not have been born from that moment. The magazine was speaking French, and auteur meant author. The director must consider how to edit his films, and by so doing, create montage. The director must request when what type of music will play in a certain scene and when it will not. A director works most intimately with the actors in real-time. He is there from beginning to end, putting his own twists on the instance at hand. That is why many will still affirm that the director is the genius of the film. He is not as limited to the script as some would assert. Often, the director makes the final decision as to what will be included and what won’t be included. Words can be spoken by a character, but the director may desire that the character not be seen. This is just a snapshot of the director’s creative ability. However, the writer is unquestionably the ultimate source of the film. Where would Kane have been without Mankiewicz, after all? Think also, where would Psycho have been without Robert Bloch….where would practically any Hitchcock film be without a good novelist, for that matter? Hitchcock rarely wrote his own stuff, after all. Toto and Dorothy were not the creative aspirations of Victor Fleming, but L. Frank Baum. The reality is that the director is a workhorse, the executive officer to the ultimate sovereign. He acts under the orders, as it were, of the writer. This act of delegation is a trusting one, and the writer-proponents do not say that the director isn’t important. But, it is the true baby of the screenwriter. What is more difficult? Is it to create visual cues for symbology or to structure dialogue to imply? Is it easier to create ex nihilo or ex materia? The root of the this argument is that there is no framework, no clues on which to build for the writer; he or she must create as the traditional Judeo-Christian God created…from their own desire and creativity. It is easier to interpret than to create. The director is merely an interpreter of the word…prophet to a deity, as it were. This also works to assert that it is more difficult to provide literary cues than visual ones. Consider the debacle that is David Finch’s Blue Velvet. The film is riddled with such explicitness of symbol that we must be stupid to not notice. The open window, the grimy under-earth, the lights and the darks…it’s all quite simplistic. But consider the monologues that tie together Coppola’s Apocalypse Now. Or, consider the opening and closing statements from Tommy Lee Jones in No Country for Old Men. These examples, I feel demonstrate how the word is more difficult create than the picture. Pictures, after all tell 1000 words, but a good writer can say more in his 1000 words than any picture ever could. This is associated with an artistic phenomenon that I have pondered since High School, when poetry was becoming somewhat of a passion for me. I would spend a long time writing poems and songs, and I always excelled in the poetry sections of my English classes. I even recorded my own folk album my Freshman year of college. For me, my justification was clear. I divided art into two categories: visual and audible. In regards to the visual art, I saw it as creation of a visual stimulus to portray or exude a distinct emotional or intellectual reaction. The basest of arts was that of the canvas or sketchpad, because the image they provided often elicited exactly what they portrayed—in other words, a picture of a beautiful woman would make the viewer think “beautiful woman.” The image of the beautiful woman that would come up in the minds of the viewer would be, in essence, the exact same as the beautiful woman on the page. For me at the time, literature was a higher art form because it also dealt with visual stimuli (a bunch of black lines and curves that made up letters which, in turn, made up words), but these did not elicit an image, emotion or intellectual reaction that was identical with the provided art. The words of a book may describe an epic battle sequence, but the image is not explicitly provided. Instead, good writing involved deeper imaginative participation. A writer was able to connect to the reader through a much more difficult medium. I must admit that my opinion has changed since those high school years, but the argument isn’t completely invalid. The job of the writer is to provide the competent movie-goer with a more stimulating visual experience. The director contributes to this, but his medium is simpler. He can recreate the scene. But the essence of the plot does not depend on the quality of the scene. The essence of the plot depends on the imagination of the viewer. In this regard, the writer allows active movie-watching. The ultimate movie auteur, therefore, is the Writer-Director. The man or woman who both writes and directs his or her films is the paramount example of a genius. They are create from nothing, and then create from their own material. They manipulate both the cinema and literature. They insert themselves into their films in that the entire film is a magnification of who they are. Some of the greatest writer-directors are Federico Fellini, Ingmar Bergman, Charlie Chaplin, Akira Kurosawa and Woody Allen. I highly encourage you, the reader, to watch their films in conjunction. Don’t just watch Annie Hall, watch all of Woody Allen’s greats, such as Manhattan, Hannah and Her Sisters, and Midnight in Paris. Don’t just watch The Seventh Seal, watch all of Ingmar Bergman’s masterpieces, such as Wild Strawberries, The Virgin Spring, and The Magician. Don’t just watch 8 1/2, watch all of Federico Fellini’s bests, such as La Dolce Vita, La Strada, and Amarcord. Don’t just watch Seven Samurai, watch all of Kurosawa’s works, such as Ikiru, Yojimbo, and High and Low. 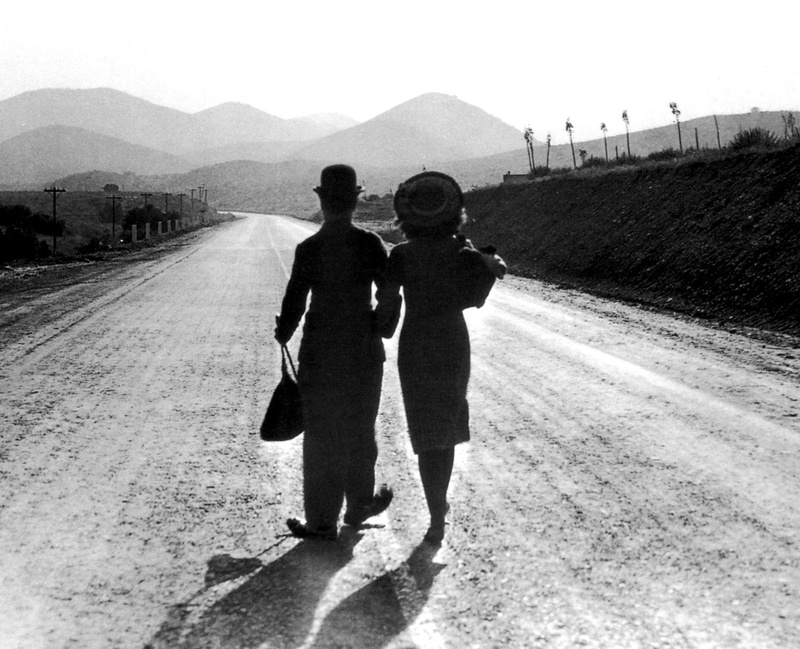 Don’t just watch Modern Times, watch all of Chaplin’s silent films, such as City Lights, The Gold Rush and The Kid. Think about a moment when you are asked to speak in front of a group of people, participate in a talent show, cook for another person, or share an old work of art with a stranger–or even a friend, for that matter. There are two feelings that generally accompany such moments. The first is a feeling of pride: you’re excited to show what you can do or say what you want to say. The second is all-too-common, a feeling of nervousness, fear, nakedness, or vulnerability. Your work, your talent, your opinion is a reflection of you. To provide something other people don’t like is to lose face and look bad. Now consider what makes an auteur so bold. They put themselves, all their talents, all their shortcomings, all their vulnerability and all their securities, before the entire world, hoping people like it. We have a tendency to laud the ones that still put out the work even if no one likes it: we love the movies that weren’t “big hits” when they first came out, and whose greatness was only stumbled upon later on. That tendency may be misplaced, as greatness in art is often born of insecurity, and insecurity is perhaps the most poignant reason why some directors and writers hesitate to put themselves out there as we much desire them to do. As you consider the auteur, consider what advantages that knowledge can bring. At the beginning of this page, I put forward three special reasons why a good understanding of auteurism can aid in watching films. First, it can give you a technical appreciation for all that a film auteur (be it a director or a writer) does in creating a movie. Second, it can help you to find special themes and motives that the auteur inserts into the progression of the film. Third, it will help to understand the importance of understanding the people behind the camera, as you will be able to glean special details and intricacies from their works that you may not have gleaned had you watched only one of their movies. To better understand this final point, I again recommend that you read my review of Vertigo and then my review of Notorious. This idea of Hitchcock as an auteur should be evident as I go about them.